This styled shoot definitely has us dreaming of a tropical winter getaway! 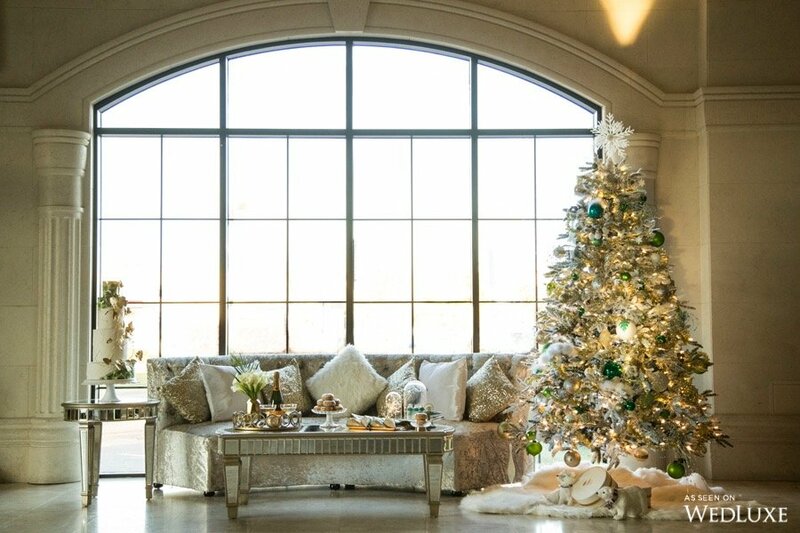 Deep emerald greens, sparkling golds, and snowy whites are juxtaposed with faux fur and velvet to create a warm Christmas setting that is to die for. Wedlux Blog Shoot from MPSG Weddings on Vimeo. Photography and Cinematography • MPSG Weddings, Co-Concept Creator, Co-Stylist, Decor Design, and Planner • Designed Dream Wedding & Event Planning, Co-Concept Creator, Co-Stylist, Decor Design, and Tableware • Sweet Bee Tea Party, Floral Design and Linens • Blossom Moments, Venue • Bellevue Manor, Makeup and Hair • Bridezilla Beauty, Gown Retailer • BLK Sheep, Shoes • Manolo Blahnik, Jewellery • Tara Fava Jewellery, Backdrop Print • Axe Media Group, Cake and Dessert Design • Sweet Regards, Backdrop Pipe, Draping, and Floor Candles • Posh Stylings Inc., Sofa, tables, and pillows • Chairs & Thrones, Calligraphy • Mandy Calligraphy & Design, Chairs • Detailz Couture Event Rentals, Model • Kulkat Entertainment Inc.